From Public Safety Officer to Full-Time Pentecostal Minister After Recovering from an Injury in D.C. The absolute 100% truth about our practice is that we have the best clients.. You can rest assured that if we have taken your case we want your case and will put time and attention into it. And our clients will attest to it: we will go to bat for you so that you can keep getting your medical treatment and receiving your workers’ compensation benefits. Not only that, we will work to get you a good settlement so that you have an opportunity to create the best future for yourself and your family post-injury. Here's the story of one of our former clients, Bishop Patrina Steadman, a great example of a successful workers’ compensation case. Patrina had a great job as a Second Lieutenant at a major university working for the Public Safety Police Department, keeping students and visitors safe and fighting crime on campus. An elevator had gotten stuck and one of her officers was on it, so she pried apart the crack in the elevator door to help get her officer out. She did that at the expense of her wrist; which was seriously injured in the process. She had to have three surgeries and attend physical therapy in order to get back to ‘wholeness’ in her wrist. She could no longer apprehend and restrain suspects, or safely use a firearm. Even today, her wrist is sensitive to the touch due to the nerve damage. Anybody who has ever been involved in the workers’ compensation process knows that it can be a very difficult ordeal. In Ms. Steadman’s case, the insurance company stopped her benefits, which meant she didn’t have any income for six months to a year. It was very trying and very frustrating. But Ms. Steadman was very pleased with Donahoe Kearney’s attention to her case. Mr. Kearney was very persistent and active in attending to her case through all the ups and downs of litigation. Every hearing that they had, they won. At the end of the case, he got her a nice settlement. She later said "his service was excellent." The worst part of the experience? Getting your benefits stopped by the workers comp insurance company. The best part? Mr. Kearney staying on top of the insurance lawyers and adjusters and making sure that everything was taken care of properly. She said that he worked diligently to make sure that her checks were coming on time and would recommend his services to anyone; in fact, she has made a couple of referrals and those people were very happy with Mr. Kearney’s service as well. At Donahoe Kearney we love to hear about what our clients have done after their case is over. Some of our clients start their own businesses, and we do what we can to promote them. Others are able to retire or change careers to do something they've always wanted to do. Ms. Steadman's story is a little different. You see, she went to the seminary before she got hurt and had been involved in part-time ministry since 1993. 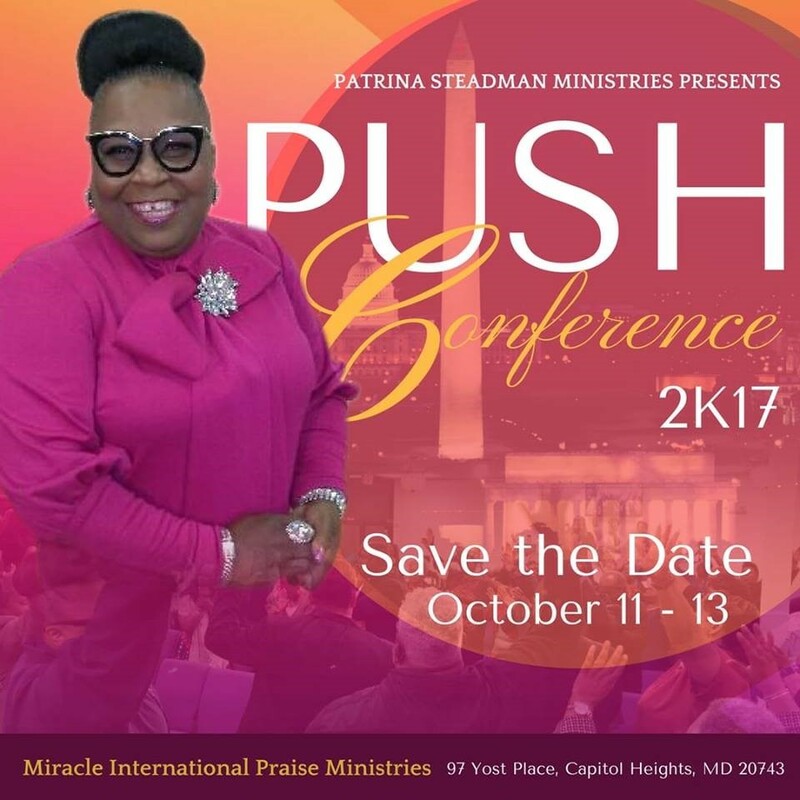 But today she is in full-time ministry in the Pentecostal church; heading up Patrina Steadman Ministries and serving with Miracle International Praise Ministries in Capitol Heights, Maryland. The church has been in existence for 15 years. They also do a lot of good work with the community; handing out food and clothes and visiting a nursing home facility. They like to bring Bible studies, worship, and prayer to those who are convalescing. Thank you, Patrina! Great to hear from you and best of luck with the vocation!